As some of you know, I love pizza more than pretty much anything else in life. 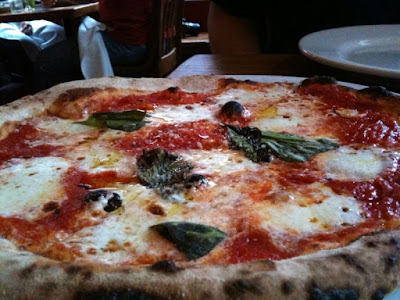 I even blog about it (I Dream Of Pizza). So it'd make sense that I have pretty high pizza standards. Well today and tomorrow one of my favorite pizza places, Fornino, is celebrating it's 5th anniversary with $5 Margherita pies (via Slice). They are delicious. Go get one. You won't be disappointed.